Peter Christian Hertel, born in 1968, and Sebastian Klarhoefer, born in 1966, know each other since school days. They studied Architecture in Berlin and Venice and degreed in 1996 and 1994 at the Berlin Institute of Technology. They created their first furniture designs during the studies at the Instituto Universitario di Architettura in Venice with Aldo Rossi. 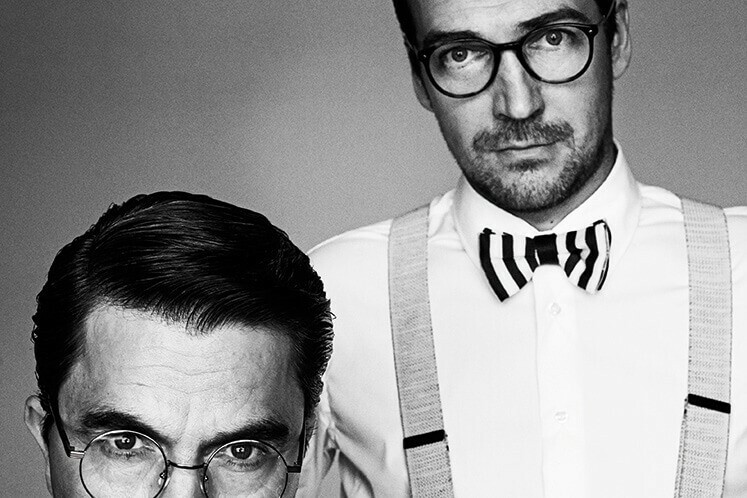 In 1999 they founded their design agency hertel & klarhoefer. In their team there are product designers, interior designers, prototypists and carpenters. In the following years they have created furniture and accessoires for famous international brands. They define themselves as creatives that are working on a design project starting with conceptual ideas and ending up with technical product development. Right from the start they have been fascinated by the pulsating rhythm and creative potential of Berlin. This influences their work up to now.